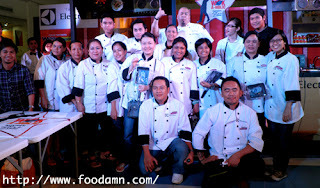 Under the mentorship of renowned chefs Bruce Lim, Rosebud Benitez and Jonathan Bautista, each of the Top 14 in Electrolux’s annual Wok-A-Holic competition were trained in various cooking modules which covered everything from handling appliances and cookware, food preparation and cooking, and proper food presentation in a 2-day Culinary Boot Camp. 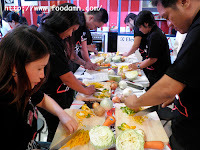 Equipped with new knowledge and skills, they are now ready to compete for the title of Electrolux Wok-a-holic Kitchen Star during the Wok-a-holic Grand Cook-off. Who among them will emerge as the Kitchen Star and take home the grand prize of an Electrolux Kitchen Showcase, a culinary scholarship from CCA Manila and gifts from this year’s Wok-a-holic partners? Rommel Marcos is a video and animations editor, happily married and a father of two who feels up to the challenge and ready to take home the grand prize so he can share his win his family. Freelance graphic artist Lorenza Quintos is the lone vegetarian in the competition and dreams of one day being able to create unique and delicious vegetarian culinary masterpieces. Another contender who hopes to open her own restaurant is Rigette Osoteo, a social media marketer who wants to create experiences and memories through the flavors of her food. For most of the Top 14, including software developer, Tara Cagadoc, cooking is a passion. 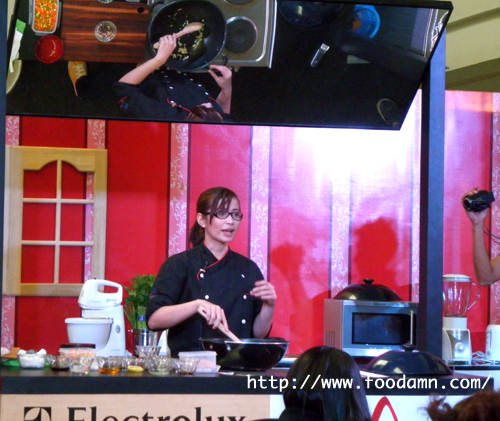 She says she loves everything about food and puts her heart into every dish she prepares. For Rosarie Penaflor, cooking can also be a means to manage stress as she enjoys whipping up delicious treats for her family and friends. For others still like Catherine Blas, it’s a way to help put her kids through schooling. Despite being the youngest competitor, JM Darlucio has had experience as a call center agent, a marketer, a registered nurse and an aspiring entrepreneur. He wants to be an example and inspire others to just go after their dreams. Also filled with an entrepreneurial spirit is Chelo Sobremisana, a mother of six choosy eaters who she loves to cook for. She plans to have a food cart business of her own in the future so she can cook for more people. With all his tattoos, you wouldn’t be able to guess that Richard Lucenada also loves to cook. He thinks that anybody can cook but he’s out to prove that he can cook well. Georgia Shirar claims that she already has the ability to turn ordinary dishes into extraordinary while Roland or Roki Ferrer is a marketing communications manager who thinks that his innovative mind gives him an edge over his competitors. Also confident with her skills is Mariela Salcedo but for her, this competition is a step closer to fulfilling her dreams of becoming a great chef someday. As a wife and mother of three, Belinda Custodio joined the competition to learn more about cooking because she believes that if you love your family, you should love cooking. Cristina Castro would have to agree as she cooks for her family every day as well and wants to provide nutritious food for them. 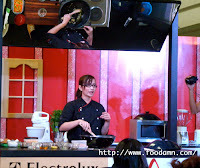 For her, winning an Electrolux Kitchen Showcase would be a great help to her kitchen. 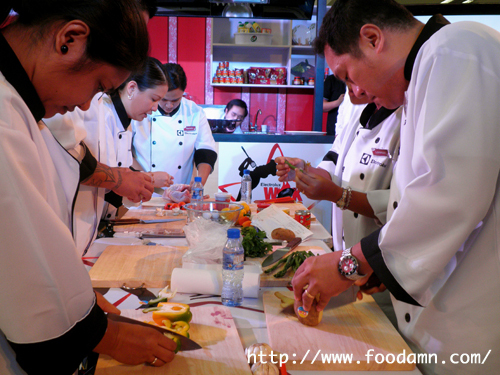 Together, let’s find out who will become the next Electrolux Wok-a-holic Kitchen Star! 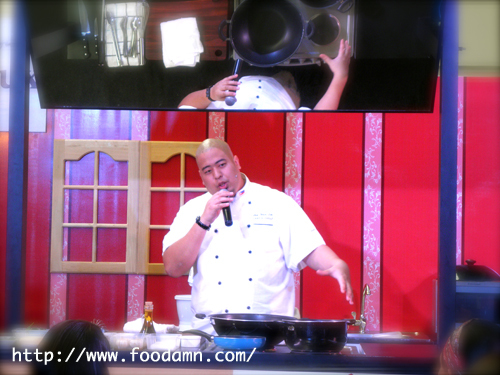 Join us on July 8, 2012, Sunday 2pm onwards at Cash & Carry Makati for the Electrolux Wok-a-holic Grand Cook-off. This year’s Electrolux Wok-a-holic Cooking Competition is also made possible by the following event partners: Center for Culinary Arts, Meyer, Lee KumKee, Biokips, GastroChef, Solane LPG, Pyrex, Corelle, Cif, and Surf Dishwashing Liquid. As well as media partners, 96.3 Easy Rock, Yummy magazine and Good Housekeeping magazine.